FastPictureViewer is a professional 32/64-bit image viewer designed with professional photographers for previewing and rating digital images faster, optimized for full-screen, borderless preview of digital images. 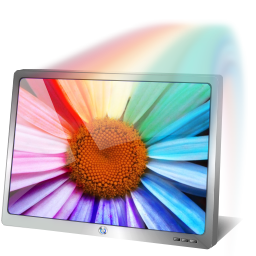 The program features full ICC color management with support for profiled monitors. Aslo has instant zooming and copy, move, delete, save-for-web, powerful batch file processing functions. In addition, industry-standard Adobe XMP and Microsoft Photo rating. Ideal for fast reviewing, culling and rating of large quantities of images. Furthermore, FastPictureViewer has IPTC Editor, RGB histogram, Color Management, EXIF, Tethered Shooting and ultrafast Raw previewing. That aims to facilitate quick review, rating and annotation of large quantities of digital images, with an emphasis on simplicity and speed. FastPictureViewer Professional supports most image formats. It comes with first-class support for raw formats from more than 460 digital camera models. Support for specialized formats can be added through our own FastPictureViewer Codec Pack add-in. You can add formats such as Photoshop PSD, OpenEXR, JPEG2000, TGA, PNM, HDR or DDS. The viewer can also be extended by 3rd-party image decoders such as DjVu, supplied by other vendors, with more to come in the future. 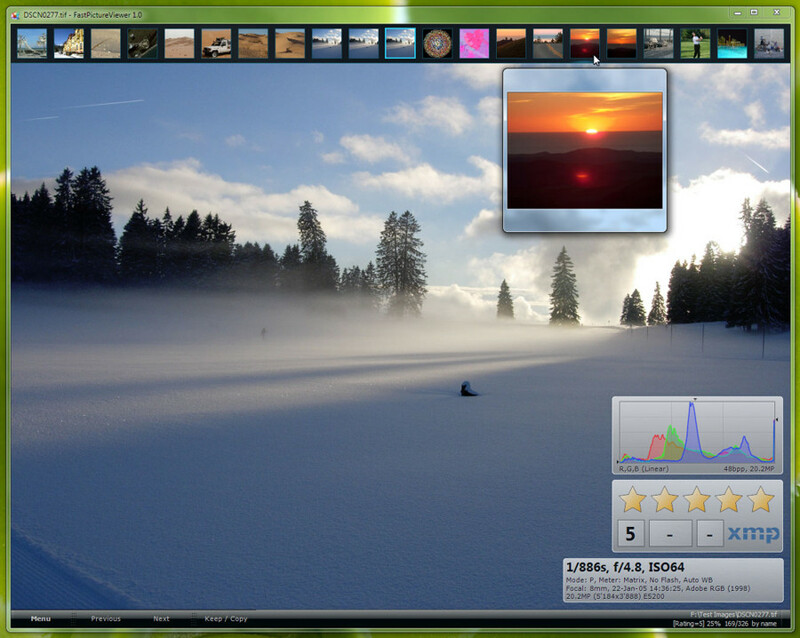 FastPictureViewer Professional displays shooting data (shutter speed, f-stop, ISO, exposure compensation) and RGB histogram in seamless floating windows. Also features a built-in program launcher, all in a slick and uncluttered user-interface. FastPictureViewer Pro is the best companion to Adobe Lightroom and other digital asset management systems. Use it to weed-out your pictures before importing them for development and editing. Fastest ever: point FastPictureViewer Professional at your image’s folder and start reviewing, culling and rating within seconds, in RAW or JPEG format, be it 10 images or 10,000: no wait. 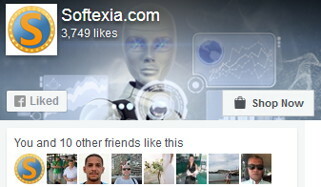 Google fastest image viewer and see who comes on top: 3 million users and counting cannot be wrong! Full support for 4K and 5K monitors and beyond (perfect scaling, no tiny fonts!) – Full color management. IPTC Editor with batch abilities. Writes headline, caption, keywords, location and other essential IPTC fields. Plugin-based Web Publishing: upload to FB, Flickr, SmugMug, Zenfolio, PhotoShelter, 500px, or local disk. Real-time zoom window with RGB eyedropper (point, 3×3, highlights, shadows, partial histogram). Full-screen GPU-accelerated Lost Shadows / Lost Highlights indicator. EXIF Statistics plug-in, display info charts about shutter speed, ISO, f-stop aperture, focal length and more. Support for Controlled Vocabularies keyword entry (pre-defined keyword collections) in the IPTC Editor. Support for Reverse Geocoding (street address from GPS position) to fill IPTC Location in one click. GeoClustering Utility plugin (groups images together into folders, from GPS position or Date/Time). Native 64-bit support, multi-core and DirectX enabled for fastest performance on modern computers. Industry-standard XMP Rating system (XMP rating, XMP label, Photoshop urgency, XMP sidecars). XMP Labels translation tables for easier inter-operability with other XMP-enabled applications. Single key GPU-accelerated black and white preview, to instantly preview color images in B&W. Full-screen, uncluttered display mode available with instant zoom and pan. Many keyboard shortcuts. Powerful and flexible rule-based batch file processing plug-in: create batch jobs to automate your work. Copy, move, delete, rename, upload files in batch according to EXIF, XMP, GPS, camera serial number etc. Secure batch file copy, with bit-by-bit 100% copy integrity comparison and full error log. Single key reject (X) and batch delete (Ctrl+X) function. Single key Keep / Copy function (copy or move files in background to a preset folder). Support for 22 RAW formats (460+ cameras models), color-managed previews. Raw codecs enable thumbnail support in Windows Explorer (add Codec Pack for PSD support and more). Support for .WAV audio annotations (play/copy/move/rename along with the associated image). Multi-processor enabled JPEG previews unpacking, providing unrivalled raw previewing performance. Multi-cameras tethered shooting over USB2 with MTP/PTP compatible cameras, with optional auto-prefixing. Support for additional formats such as TIFF, MTIFF, BMP, PNG, GIF (and PSD, DjVu, EXR… through add-ons). Persistent “Quick Bookmarks”, to mark interesting/special images and quickly return back to them. Scalable “External Bookmarks”, auto-named, automatically saved and working across viewing sessions.